While in school, Brynne assisted Rory McNiel, owner of Roar Salon for a year. 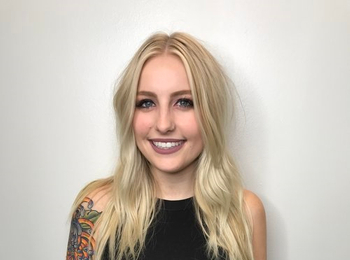 She loves blondes, beach waves, and getting to show creativity with her work. She is very passionate about the beauty industry, and enjoys making her clients look and feel beautiful. When she’s not in the salon, she loves being outdoors and spending time with her dogs.